I find most guides city packed with too many recommendations and a bit overwhelming. When guides are too in-depth, you can end up feeling stressed about seeing and doing all the wonderful things places have to offer. I've been to Munich, Germany a few times now; it's one of my favorite cities in Europe. So I love to give people recommendations, but I try to give ones that they may not hear from other people, or find in the travel guidebooks. So here's an outside-the-box shortlist with just six recommendations for where and what to stay, eat, shop, see, do, and be entertained while in Munchen! Perhaps I'm a little biased to a hotel that shares my name, but this design hotel in the heart of Munich is one of my favorite city hotels I've stayed in. I immediately fell for the plush, pink lobby and boutique feel of this design hotel, and then I saw the room! My room had a beautiful balcony looking out over Munich, a bed so cozy I almost didn't want to get out of it, a shower with changing infared lights, cozy robes and slippers, and yummy welcome chocolates! I always prefer a small, stylish, design hotel because they offer a little more TLC to their clientelle. In terms of service, location, design, quality, and amenities; it doesn't get much better than this. You can't be in Munich and not indulge in a classic, Bavarian meal! While Munich's famous biergartens definitely are worth a visit for the atmosphere and fun, if you want deliciously cooked food, look to a smaller restaurant like this one that a local foodie took me to. This cozy restaurant is unassuming outside, adorable inside, and will satisfy your schnitzels, spatzel, and pretzel cravings! The first time I ever went to Munich, I hopped on Mike's Bike Tour, and I have done it every time that I go back since! This four-hour tour takes you all through the city as you learn the history of everything you pass. A stop at the Chinese Beer Garden is included so you can grab a human-sized pretzel and some obatzda to refuel mid-ride. The guides have a lot of personality and present all the facts in a fun and fresh way. This tour shows you so much of the city, and helps you understand the layout, so I recommend doing it your first day in Munich. This massive, fresh food and goods market grew out of the farmer's market to what it is today. In the center of Munich, several stalls pop up daily offering everything from food to flowers and even some unique souvenirs. Spend an afternoon getting wonderfully lost and obnoxiously full. Is there a better combo? Skip all the mainstream shops that you can find anywhere in the world, and seek out this boutique which currently only has stores in Berlin and Munich to pick up something truly unique. 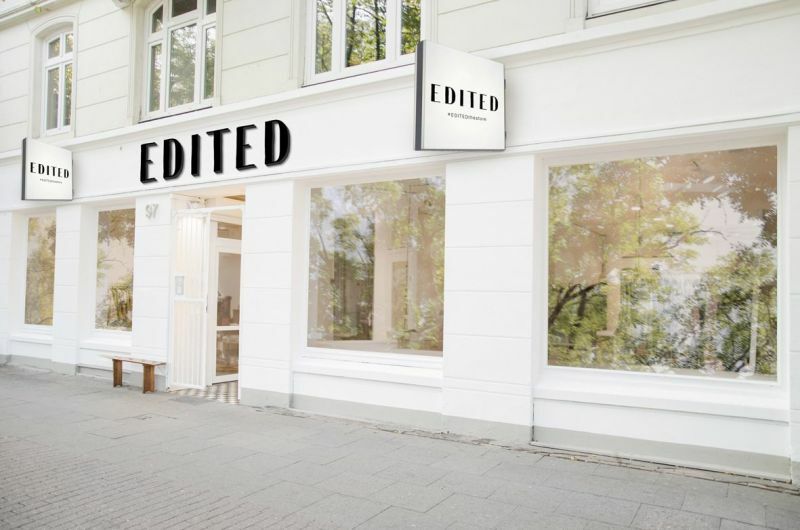 Edited has a great collection of stylish, sophisticated basics for everyday wear at completely reasonable. I picked an amazing silver metallic pleated maxi dress that is perfectly for layering and dressing up or down on sale for forty euros. The best part is, no one will be wearing it back home! If you're looking for some nightlife outside the beerhall, look no further than this beautiful close-up magic theatre. You'll never find a theatre designed with more care, class, and attention to detail than this one in the heart of Munich. There are always a few shows going on, but I recommend you spend your evening having your mind blown by one of Europe's top card magicians; Dennis Behr in his acclaimed show King of Cards.